Every year the Big Lottery Fund give out millions of pounds from the National Lottery to good causes. That money goes to community groups and projects that improve health, education and the environment. There is widespread ignorance of mental ill health in the general population and there is the associated stigma too. For some the stigma can lead to delays in people seeking help and support. There is also a lack of confidence in what to do if someone is distressed or in a crisis situation. MHFA England has devised an Evidence Based Training Packages in a response, aiming to improving mental health literacy throughout communities, with the belief that mental health crises, such as suicidal and self harming actions, can sometimes be avoided with early intervention. MHFA Trainers who deliver the MHFA courses come from a wide range of different backgrounds. We all have a role to play in building stronger, more supportive and aware communities. Since 2009, People’s Postcode Trust has awarded over £9 million to more than 1400 projects across Great Britain, with over £6.5 million of this going to the Small Grants Programme. They support innovative and engaging projects of up to one year in length that bring a positive impact to local communities. To enable all adults in Lancashire to achieve success in learning so as to improve their skills for employment, the quality of their personal and family lives, and to enhance the social and economic well-being of their communities. To support local employers and Lancashire’s economy through provision of high-quality, responsive training. re:fresh offers the people of Blackburn with Darwen the opportunity to access a huge range of leisure, health and well-being activities, health and dietary advice plus much more. re:fresh provides the launch pad for people to make changes so that they can live longer and live better in Blackburn with Darwen. These community projects work across the borough’s neighbourhood areas to help increase participation in physical activity and offer personal support and information to help individuals make sustainable healthier lifestyle changes. 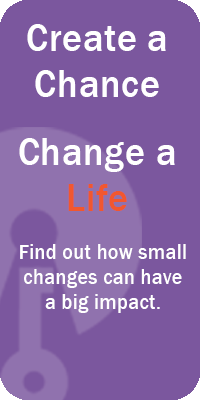 To provide bespoke services to those in society who wish to make changes in their lives. Lorien Alliance is a group of self employed Specialist Advisers, Trainers, Counsellors and Mentors-brought together by a desire to continue to work with those of us in society who need support and advice, but have nowhere to go. We work with those who “fall between the gaps” in current, limited services. School of Sign Language Ltd was set up in 2006 by Debra Reynolds. With a mission to raise awareness of the deaf community by making British Sign Language (BSL) Courses available for everyone within Lancashire. With the dedication and determination to make this mission a reality Debra has been recognised for her efforts and received mountains of attention from the local and national media.